in April 2019, a 2% digital services tax on UK revenues of big technology firms and, perhaps most controversially, the IR35 reform. While it won’t officially be introduced until April 2020, the widely anticipated legislation will continue to place the burden on the shoulders of business owners as opposed to contractors, as it did with public sector reform. It will, however, exempt small businesses in an effort to encourage growth and ‘ease the administrative burden’. IR35 is tax legislation geared towards combatting tax avoidance by employees working under the guise of a limited company or intermediary. There was a growing expectation leading up to the Budget announcement that IR35 would be reformed to prevent this. It was no secret that the government felt there was heavy tax avoidance taking place in the form of mislabelled ‘self-employment’. The Treasury believes that a third of those claiming self-employment are actually a ‘personal service company’ and aren’t paying the same tax as an employee. The motivation behind the legislation is likely a result of the success of a similar decision in the public sector which raised £410m extra in taxes between 2016 and 2018. The full details surrounding the actual implementation and operation of the reform will be published in 2019. What is known is that HMRC is expected to support medium-sized and larger organisations in their transition to the new rules. While business owners will be relieved to hear that there will be a delay in installation and assistance from HMRC, there is concern that the company size will affect the rules they are governed by. If we assume that these changes will follow that of the public sector reforms for engaging contractors, then we can expect that the end hirer will need to exercise and demonstrate reasonable care to determine whether the engagement is inside or outside IR35. If there is another party in the chain who is paying the worker’s intermediary or limited company, then the hirer must advise the worker ahead of the commencement of their services. If the engagement is inside IR35, the party paying the worker’s limited company has to deduct PAYE and employee National Insurance (NI). This also includes paying the employer’s NI before making the net payment to the worker’s limited company. The worker will receive their credits against the tax that has already been deducted and they can draw the net funds out of their limited company should they wish. Tax shouldn’t be complex. 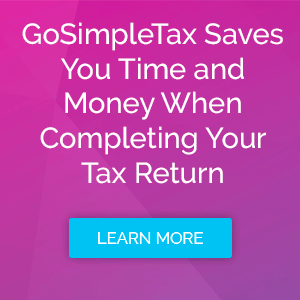 That’s why GoSimple Software designed GoSimpleTax – a mobile tool that analyses the information you provide, works out how much tax you are able to claim, and makes submitting the Self Assessment tax return as easy as possible. Register for a 14-day free trial today to try out the benefits for yourself.